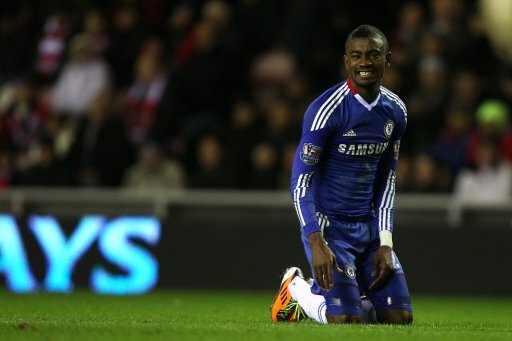 Salomon Kalou has decided to wait and see who takes over from Carlo Ancelotti as Chelsea boss before deciding whether to quit – paving the way for Arsenal to make a bid. The Ivory Coast international has endured a stop-start career at Stamford Bridge, and has so far failed to convince any manager that he’s worth a regular place in the starting lineup. Arsenal admitted they made an attempt to poach the forward from the Blues in 2008, but were denied by then coach Luiz Felipe Scolari. ‘We tried to get him (Kalou) before. But Chelsea refused and I have never spoken to him. I just asked Chelsea if we could talk about him,’ said Arsene Wenger. The Gunners could come back in for the 25-year-old again this summer, as Wenger has pledged to recruit experienced players, and Kalou would certainly fit the bill having spent the last five years in the England.